Make your own salad dressing and $ave with Kolder’s Salad Dressing Mixer™! 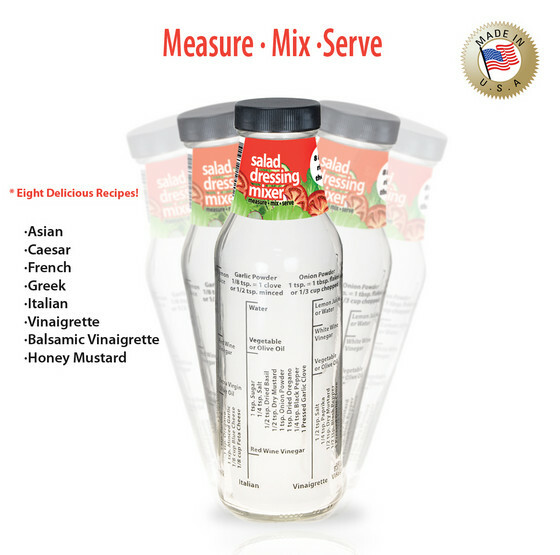 Printed clearly on the bottle are directions to quickly make your own delicious Asian, Caesar, French, Greek, Italian, Vinaigrette, Balsamic Vinaigrette and Honey Mustard dressing. Made in the USA.